...has a function deeper than that of entertainment alone. It presents life in a new light. It can open the pathway to a wide range of vision and understanding and it can awaken the perception of beauty in things that are ordinary, put magic into days that are hum-drum. 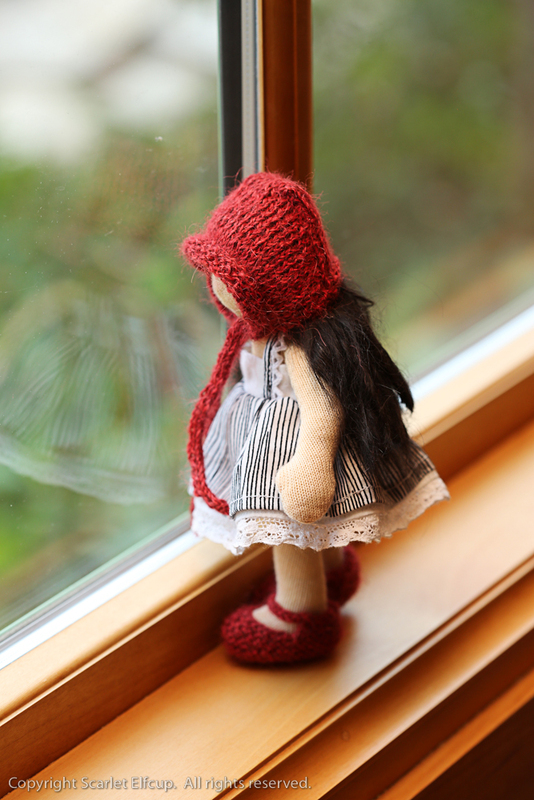 Each Scarlet Elfcup doll or toy is inspired by something deeply meaningful and personal to me or by something that has moved me deeply and greatly. You see, long before the doll or toy is born, there is already a story that has been woven and the story will eventually conceive the being that comes to life. 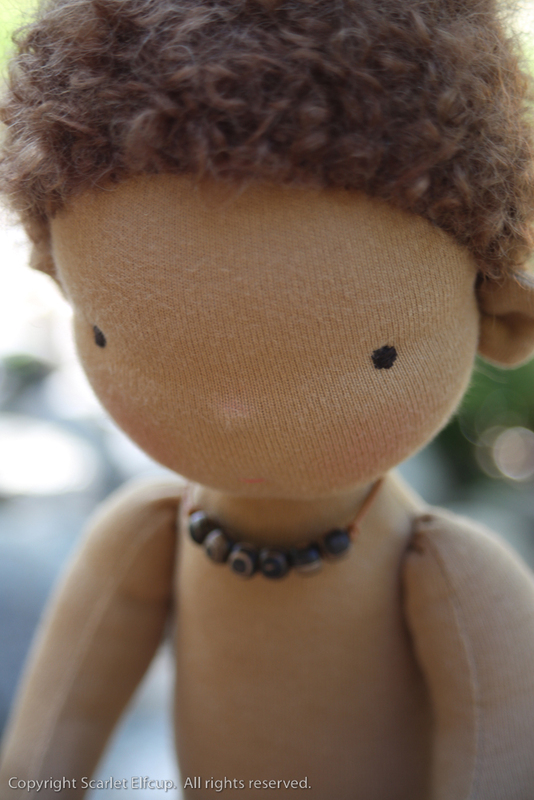 When I write a story for a doll or a toy it is a way for me to share a bit of my understanding of the world, a way for me to send small messages out into the world, a way for me to regard and respect the understanding of other people's perspectives and absorb that perspective back into my own world. And so, I dream, I create, I weave the words, and then I let it be. And most of the time...the story ends there. But, on some occasions, the story will not just end there. The story will rise once again to show the wonder and mystery that are the elements of life and growth all around us. On some occasions, customers have come back to re-tell their own stories...stories that are deeply personal and meaningful to them...as close to the heart as one can get. It is when these stories are told that we know the world of imagination has come to life. The child or the child from within who has learned to look upon a doll or a toy as something more than mere sawdust and stuffing is inclined to awaken in themselves a treasury of personal tales. Much more, they are able to have respect for other people's treasures and to respect the sentiment that values them. With all this said, for those who have shared their extraordinary, deeply meaningful and moving stories, I thank you for these stories and for adding that much more beauty into my life. You provide yet another view of the world, painted by the colors from your own. To all, may your Christmas be filled with love, laughter, and warmth as you tell your stories and as you receive the ones told to you. And may you keep on passing the magic and wonder of it all on to the little ones in your life so that they might also share in the beauty of this wondrous world. Merry Christmas to all. And to all a good night!